So, we are over half way done with phase one of three in bringing Family Formation to your parish. This post will cover several things that need to be done to finish phase one. Form your CORE team. These are the people who will commit to praying about Family Formation and help with the process of implementation. These are your key volunteers for the program. People who will be speakers, catechists in the classroom, people who will make copies, distribute, give testimony, or help in the background. Plan meetings with these people once a month. Pray together as a group. Mobilize as a group. And of course, share a meal together to build better relationships and thank your key helpers. Start to change your vocabulary! Where before you used CCD/religious education/faith formation terminology, now speak of Family Formation and family catechesis. Instead of teacher, call them catechists. A small change but words mean things. Explain the reason for the change to all who ask. Start Learning! Familiarize yourself, your Core Team, your pastor, and the entire parish with Church teachings and documents on family catechesis. A good place to start is with the Family Formation Coordinator’s Manual. 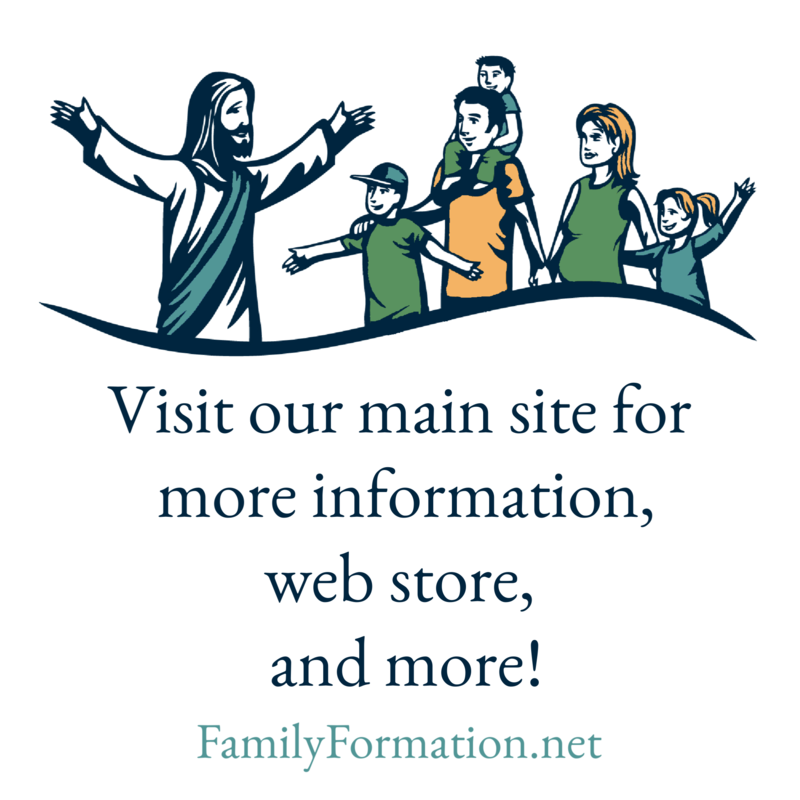 The Coordinator’s Manual has many quotes on family catechesis from the various documents of the Church, as well as many other tools to help you implement the Family Formation program. Really, if you plan to implement Family Formation, this is one tool you cannot do without. It is written specifically for someone in your position to do exactly what we are talking about. Other ideas for spreading the word and teaching involve developing bulletin boards, parish bulletin announcements, announcements from the pulpit, an intercession/petition at Mass, and newsletter articles; or devote an entire newsletter to discussing the primary role of parents in educating their children in the Faith. The Church’s documents speak clearly about this. Familiaris Consortio, Gravissimum Educationis, and Letter to Families are foundational documents to draw from. Start motivating! If family catechesis is a totally new concept in your parish’s current educational systems, use a good share of this first phase to begin to ask parents to be more involved in their children’s religious education. Give them something to do at home with their children. This may be a good time to begin implementing the Family Formation Sacramental Prep Program or to have them begin using the W.O.G. Logs. You may want to ask parents to come in one time each month to receive a teaching on a topic of faith or parenting. Make Our Sabbath Scripture Book available for purchase to get your families thinking about the Sunday Gospel reading each week. That is it for phase one! As I stated earlier, it is the longest phase and requires the most legwork, but in the end, the more effort you put into phase one, the more you will get out of the program and set the program up as something that will not go away. Furthermore, you can be sure that it will bear better fruit. God bless you in your implementation.